I love it when friends show up on TWD Tuesdays. 🙂 Dinner is a breeze and dessert is always a no-brainer. Thumbs up for that. Dorie’s ‘Tartest Lemon Tart’ threw me for bit, though. After reading through the recipe, I was shocked to find out I’d be using the entire lemon… peel, pith and all (minus the seeds, of course). Maybe it’s because I’ve never had a lemon tart (blasphemy! ), but it sounded a little weird. I forged ahead (with Dorie’s fabulous guidance) and quickly tired of slicing lemons. 😉 In the end, it was all good. The tart was beautiful, the guests were uber-satisfied and I ate every single leftover crumb of the sweet tart crust. If you’ve never tried it, I beg you to try it now. That sweet tart crust is made of awesome. Just sayin’. 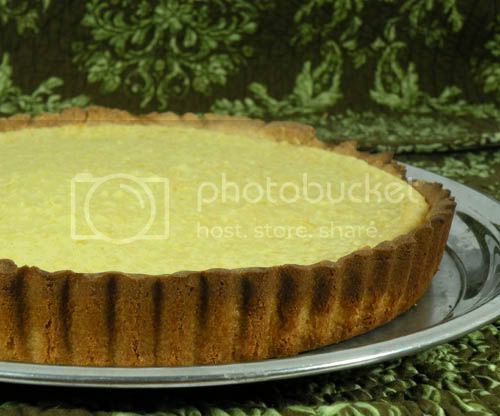 Thanks to Babette of Babette Feasts for choosing Dorie’s Tartest Lemon Tart! c’est pas courant de faire une tarte au citron avec des citrons entiers, mais qu’est ce que c’est bon ! 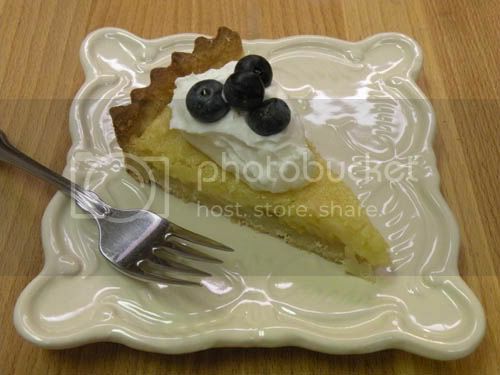 Your fluted edges look so pretty, and the blueberries seem like a perfect accompaniment. This tart was absolutely amazing! I love the blueberries atop yours! Great looking tart, J! So glad your guests liked it! Oh, those blueberries just send that slice of tart over the top…why didn’t I think of that…and they look so pretty also. Your tart looks wonderful, and very elegant. Love the dish! 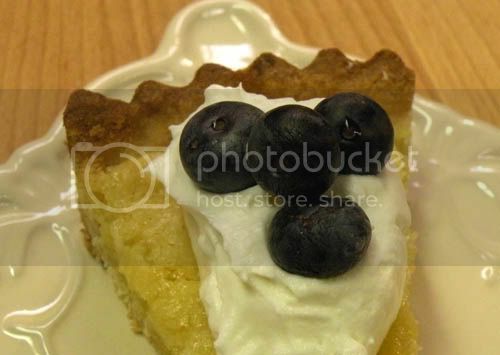 The blueberries look so wonderful with the tart and the whipped cream!! Fantastic. Your tart looks awesome, glad everyone loved it, I really LOVED it. Your tart is beautiful. Just the right crust, color, etc. It was really a great tart tart. Previous post: YouTrailMix by YouBar! !